Hazem State was born in Alexandria, Egypt in 1963 where he graduated Medical school and worked as a general practitioner until later moving to Australia in 1991. Hazem started his career in Australia initially working as an interpreter speaking Arabic, French and English. in 1997 he began his career in real estate; firstly as a land developer then venturing into real estate sales in 2003. Over the years Hazem gained a vast array of knowledge in real estate sales, land developments, business ownership/ management and interpreting. Hazem's track record and high ethical standards has developed into an extensive network of clients whom look to him for professional advice on all real estate matters. Happily married Hazem is a proud father of two adult children. Hardworking and well respected, Hazem is known throughout the community as a genuine and honest businessman who does absolutely everything in his power to ensure his client success. Hazem has a Certificate IV in real estate and Diploma of Property Services (Agency Management) and is a member of the Real Estate Institute of SA and follows the REI strict code of ethics along with keeping up with industry updates. Hard work, enthusiasm, honesty and genuine friendliness are the most important qualities that have made Mark successful in Real Estate for over 22 years. 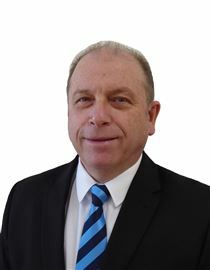 Having worked in the North East for many years, Mark enjoys meeting and helping people satisfy their Real Estate needs. Mark’s approach has always been based on a commitment to his clients that ensures his success. Mark realises that property is your most precious asset and should be entrusted into the hands of a highly trained professional. He prides himself in his follow up work and communication with his vendors. Joan started her path in real estate, Sales & Marketing in 1975 and still enjoys it as much now as she did when she first started and learns something new every day. Joan has experienced all the Highs and the Lows, so certainly understands the emotions that sellers go through when faced with the need to sell their homes. Joan strongly believes that we have a responsibility to help our community both locally and overseas to make the world a better place for all earth creatures. 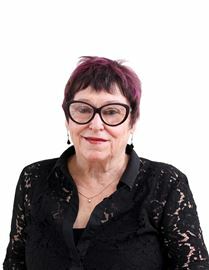 Joan finds the challenge of making dreams become a reality for her clients is greatest reward. Young, passionate and hard working, Reem is amongst a new generation of the Twenty First Century sales consultants in a world of advancing technology and new sales Technics. She is driven with motivation and has a strong will to succeed .Having a family history in Real Estate and Property Development has enabled Reem to advance her knowledge and skills to make her stand out from the rest. 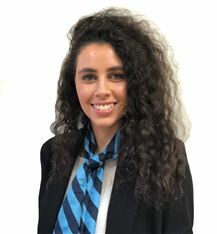 Fully qualified as a sales representative and having a background in hospitality management Reem truly understands the importance of high standard work ethics and prides herself on professional relationships. 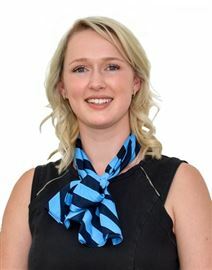 She holds a strong belief that a combination of exceptional marketing skills and great communication with her clients is the key to a successful sale Her ambitious nature and determination to see tasks through to the conclusion compliments the team at Harcourts Northgate. Reem will go the extra mile to ensure she achieves the best results for her clients and looks forward to assisting you with any Real Estate advice or property transaction. 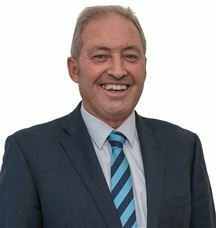 Robert has 25 years experience in the Real Estate industry and is a Licensed Land Agent in his own right operating his own business for nine years and is now a valued member of the Harcourts Northgate team. Robert with his strong work ethic has assisted seller and buyers at all levels of the community ,his success in Real Estate is due to the dedication and hard work he provides his clients which earns him the trust and respect that comes with it. So why not give Robert the opportunity to show you what a great result he can achieve for you. With over 20 years experience and a tremendous work ethic, it’s no wonder Robert has been so successful. So why not give Robert the opportunity to show you what a great result he can achieve for you. 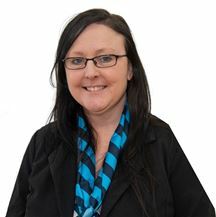 Heather has a true passion for Property Management which she has been doing since 2010. Always acting in the best interest of her clients she believes communication, understanding and honesty are a must. Heather's clients trust her because she follows through and provides regular updates. She looks forward to working with you and looking after your investment as if it were her own. 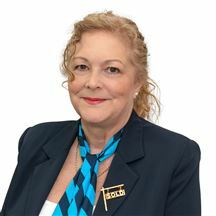 Sonia joined the Property Management industry in 2009. She prides herself on developing trusting relationships with both landlords and tenants alike. Attention to detail and striving to provide exceptional service to customers is extremely important to Sonia. Sonia is highly experienced and her knowledge and dedication are exemplary! Sonia is proud to be part of the Harcourts Northgate team. Tanya Zanker joined the Property Management industry in January 2017 after making a career change from Book-Keeping. Having raised 6 beautiful children Tanya has learnt patience and organisation is everything and implements this into her work life. Her ambitious nature and a positive attitude have helped her succeed as a Property Manager, always going the extra mile to ensure her clients are happy. Tanya is proud to be apart of the Harcourts Northgate team!